Legendary striker who played on the English national team from 1984 to 1992; became England's all-time top scorer in the FIFA World Cup finals after scoring a remarkable ten goals in his career. 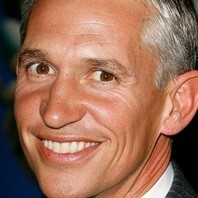 How much is Gary Lineker worth? Tottenham’s 100% winning record in their new stadium continues and they’re yet to concede a goal. Fortress.